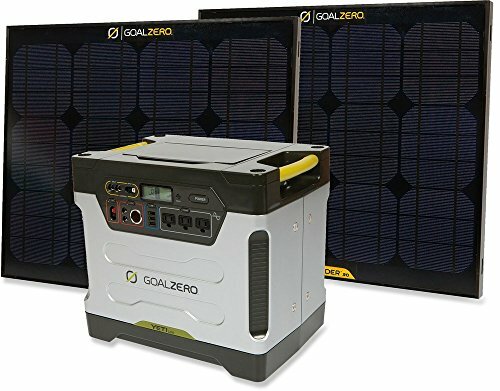 EASILY RECHARGEABLE VIA THE SUN OR WALL: 1)This solar generator can be recharged from the sun with any compatible 50W or 100W solar panel (SOLD SEPARATELY). 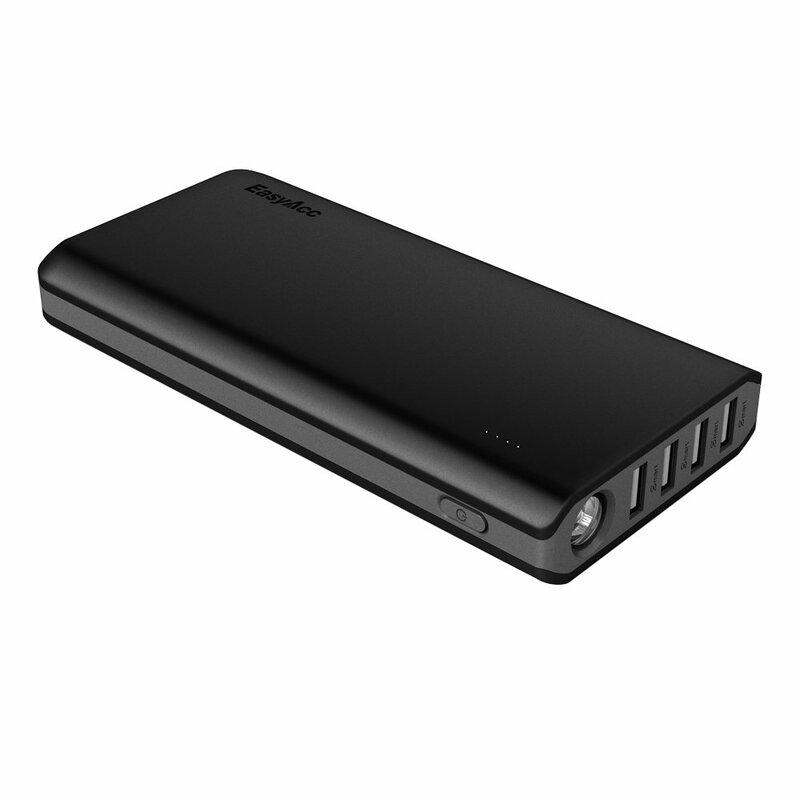 2) This battery pack can be fully charged in 8 hours by being plugged into the wall outlet. 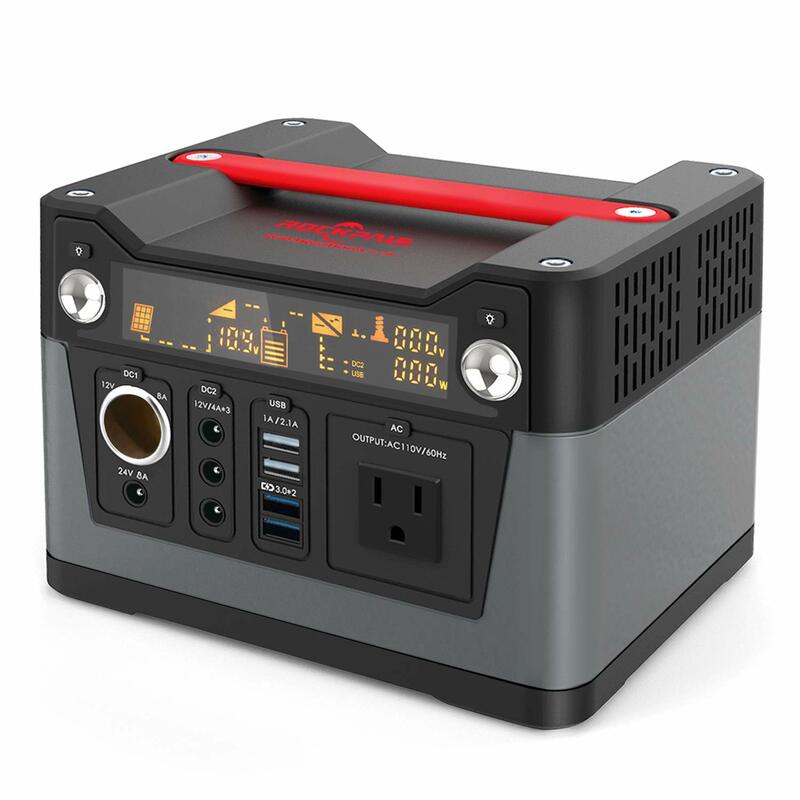 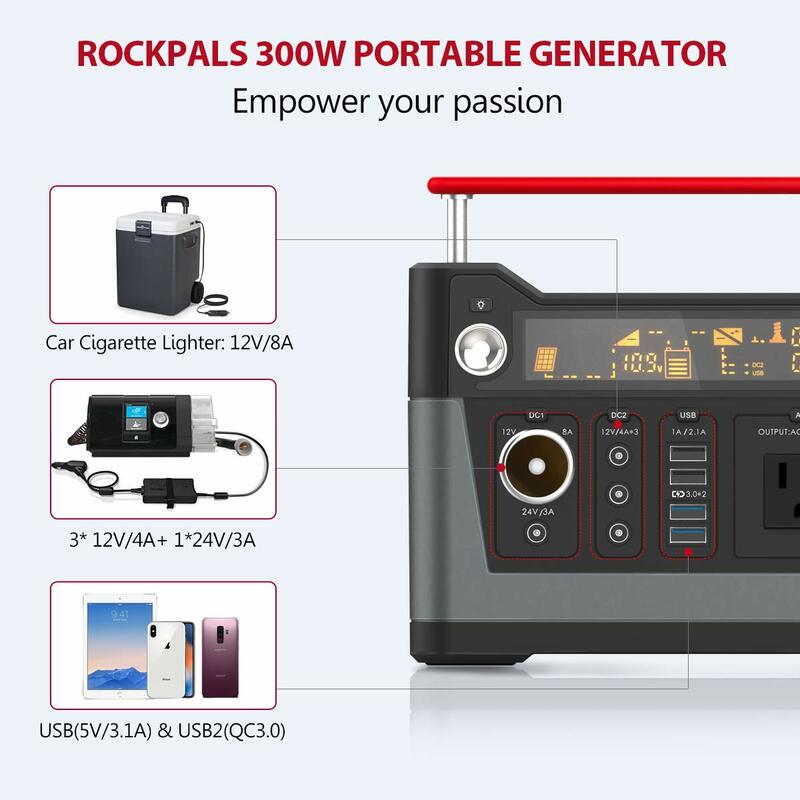 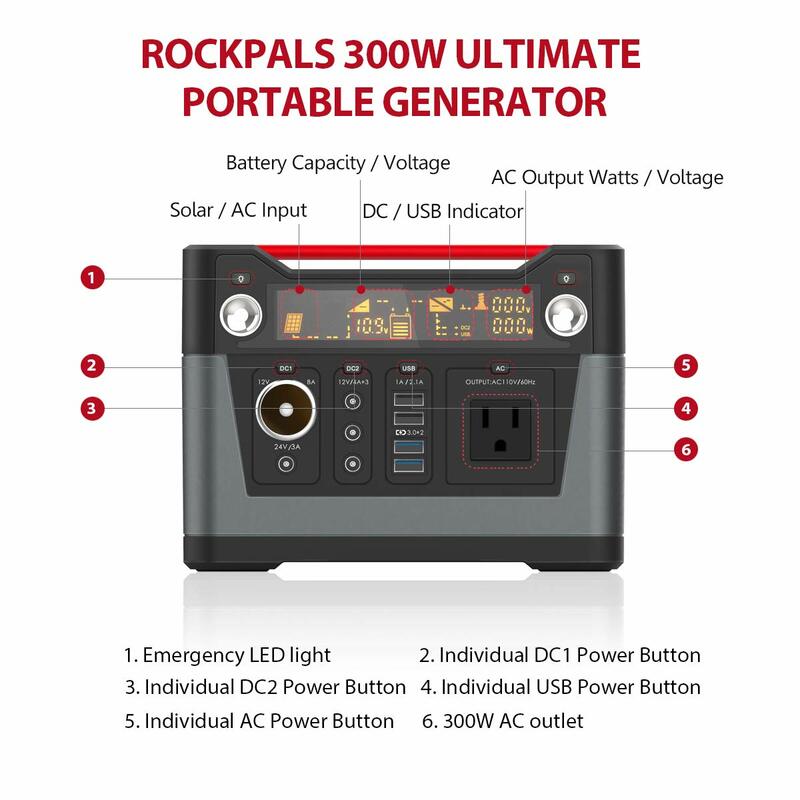 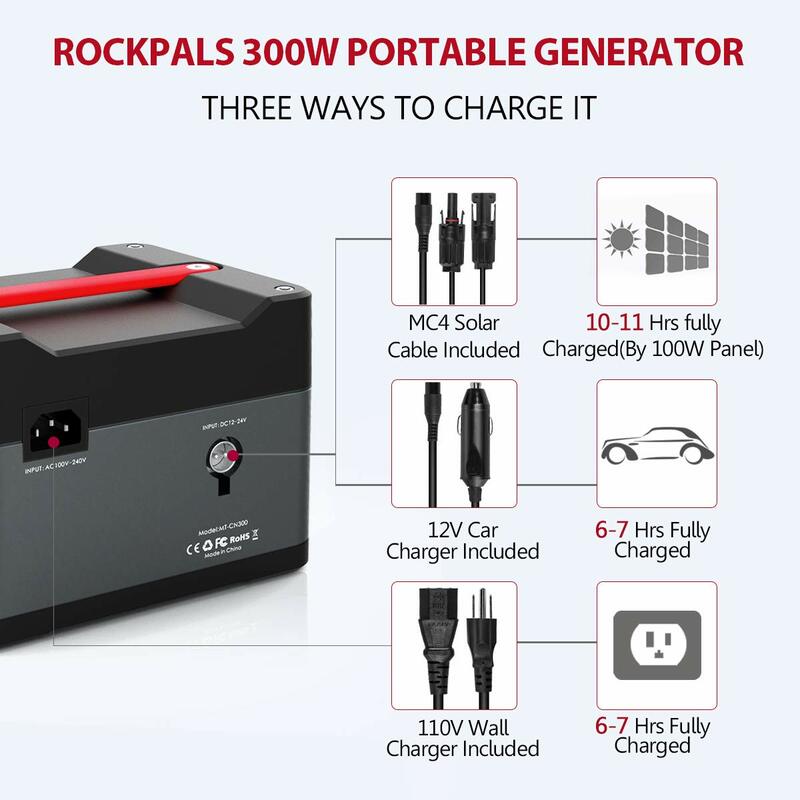 Rockpals 300W Portable Power Station – Charge Your Life! 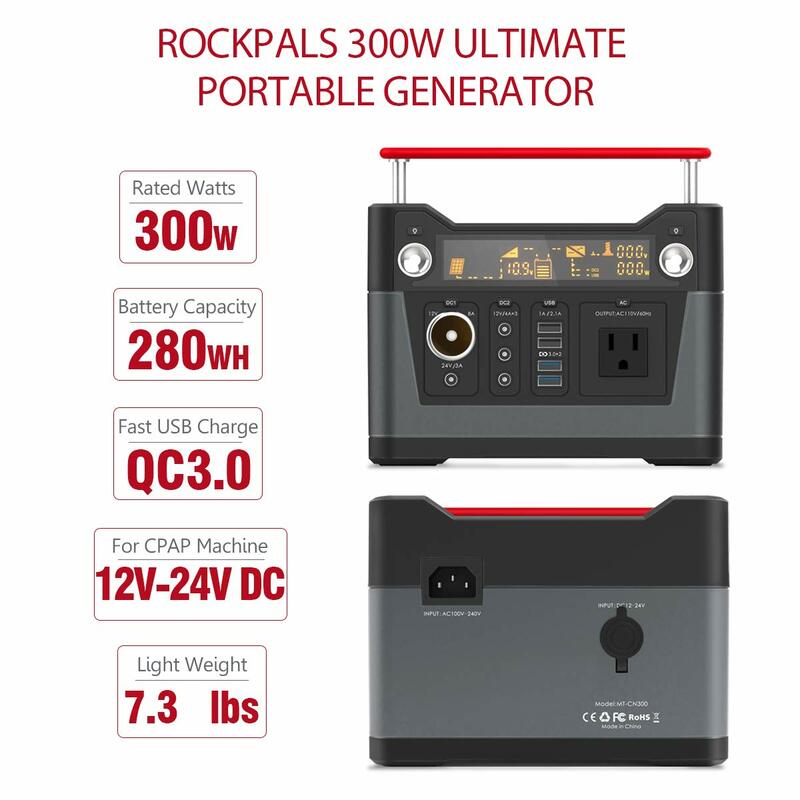 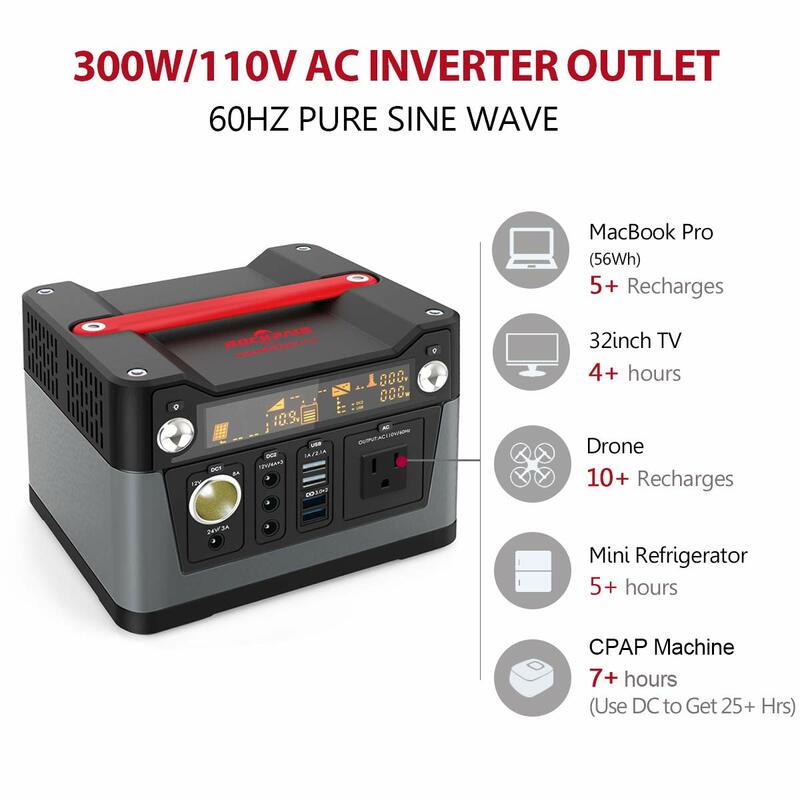 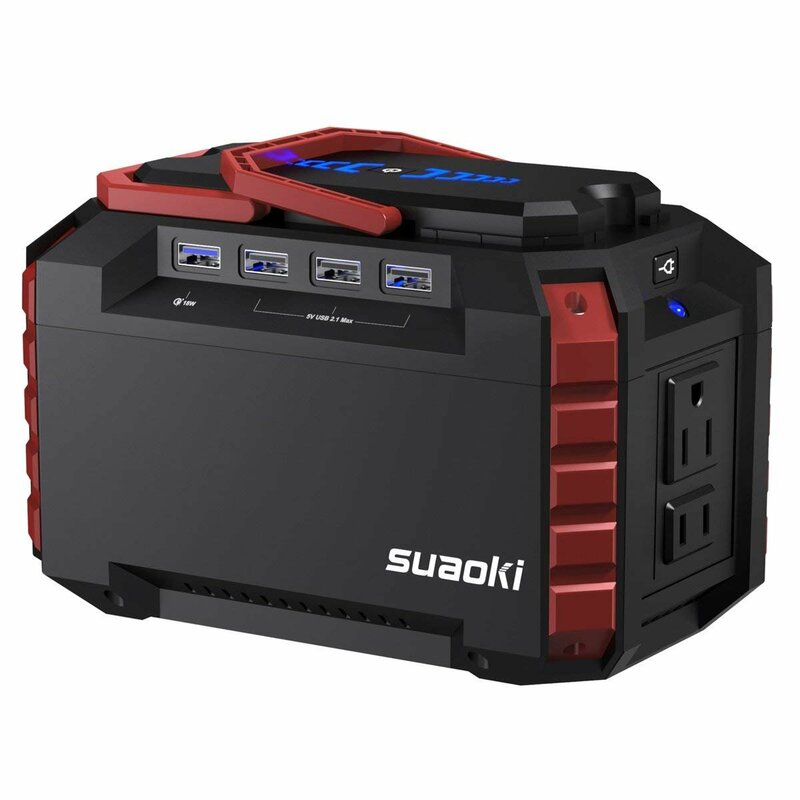 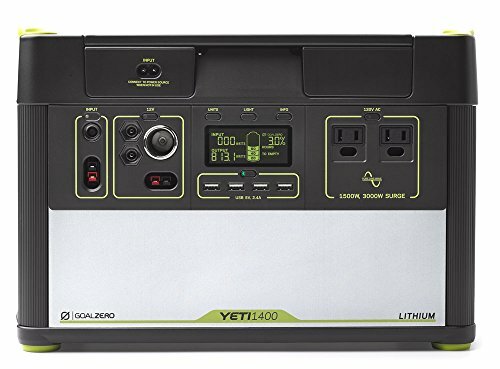 It is a versatile, convenient, large capacity power pack which combines 110V AC inverter, DC 12V and USB ports, designed to run lights, phones, laptops and small appliances in an off-grid or power outage situation. 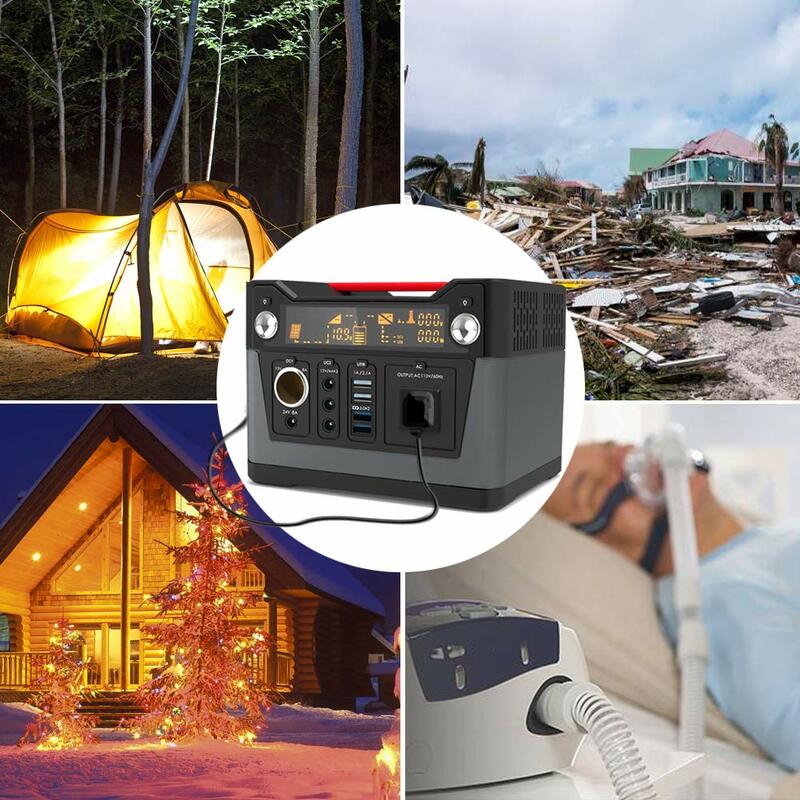 Great for emergency, camping, weekend trip or wherever you need power anytime anywhere.